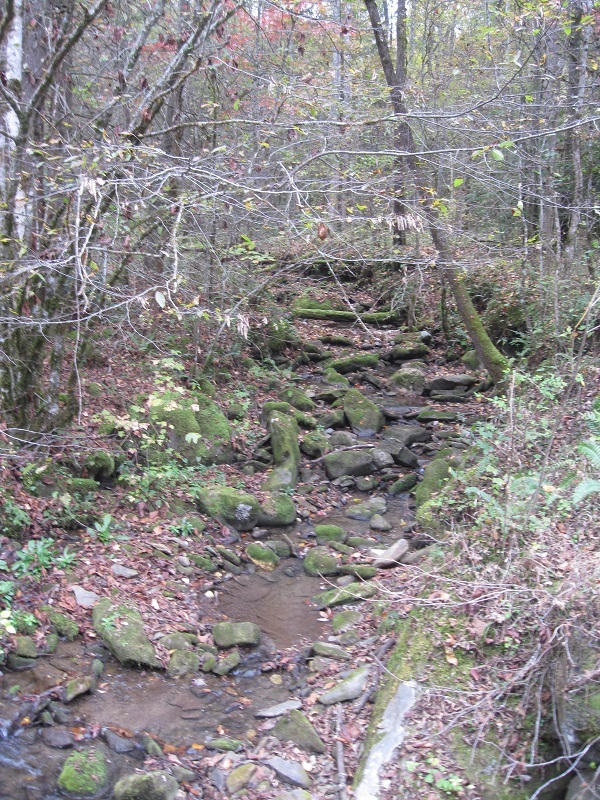 One of the most interesting places that I’ve spent time outdoors is Gatlinburg, Tennessee. When I was there it was a lovely day in May and warm enough not to need a jacket. 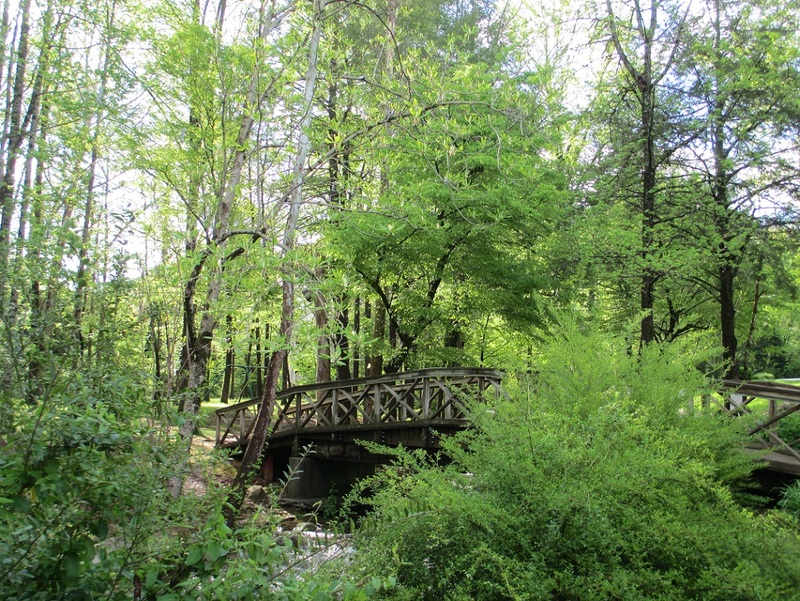 Gatlinburg is a great place for walking and some of the things I remember seeing include a bridge, a bench, and flowers, both in a garden and in the mountains. Speaking of mountains I went on a gondola ride for a panoramic view of the area. This was a time when being outside was a wonderful experience and it also reminds me why I like spring so much! For more about this theme check here. I’ve been looking through my pictures of flowers and I can’t wait until it’s spring! So far there have been a few warm days but it will be nice to have several days in a row of sunshine and warmer temperatures. I’ve also noticed that the birds are more active as they cheerfully sing in the morning. The first flowers are starting to come back, as well as the freshness of the new greenery. 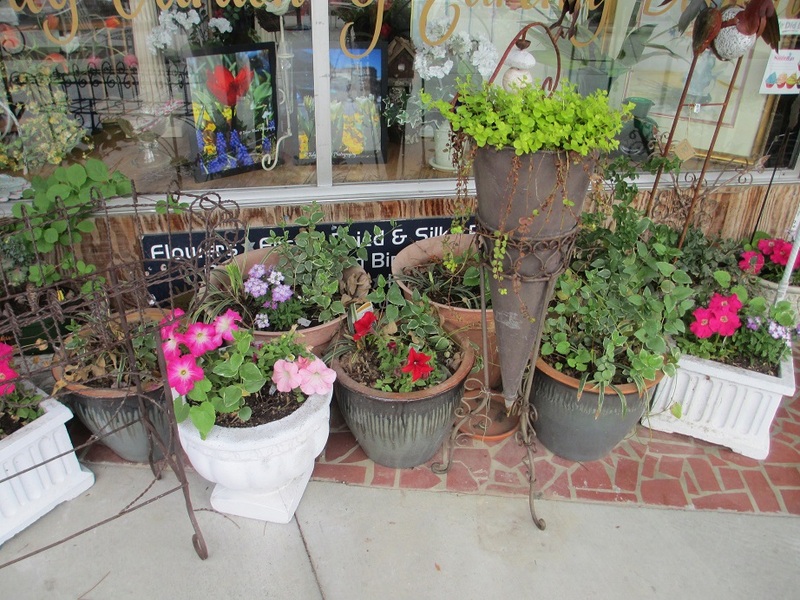 I’ve also started to notice displays of brightly colored planters outside of charming shops. 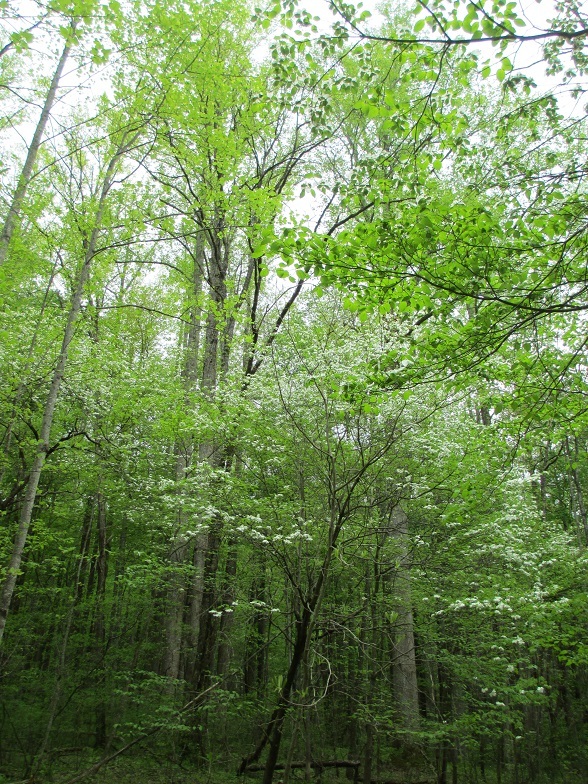 Here are some pictures from a walk that I took when I visited the Great Smoky Mountains in Tennessee along with a nearby scenic town in North Carolina. 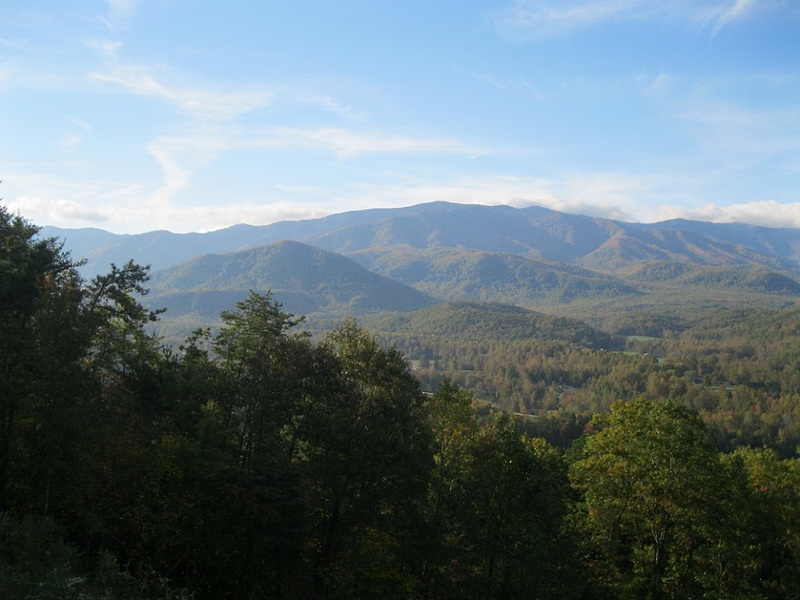 Last month I visited Gatlinburg, Tennessee. 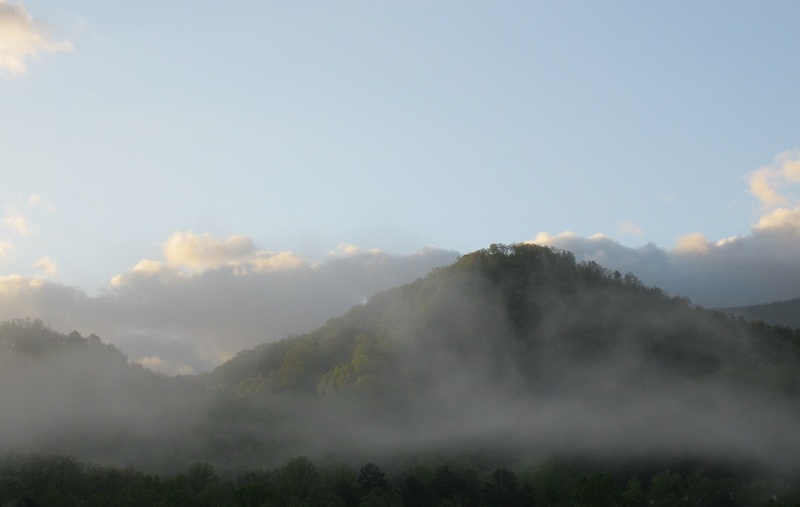 Early one morning I noticed that mist was swirling around the mountains and then a few minutes later it had changed. 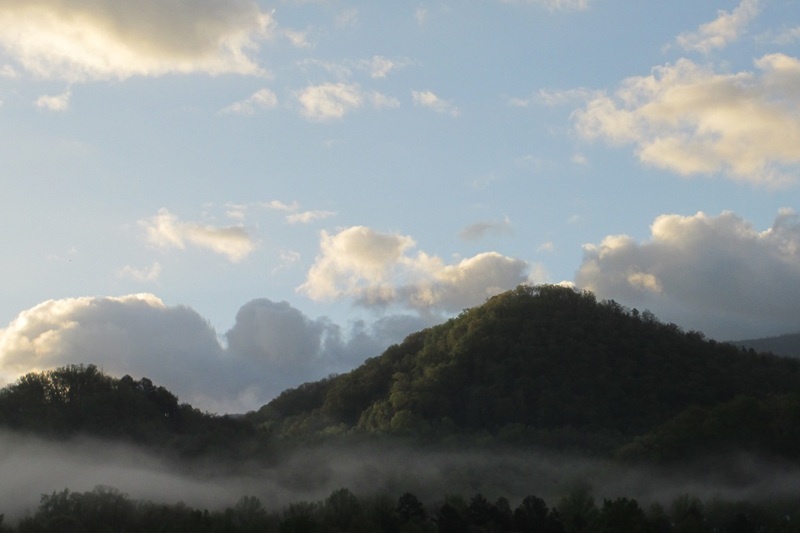 Here is some of what I saw of the fleeting appearance of the mist from the mountains. 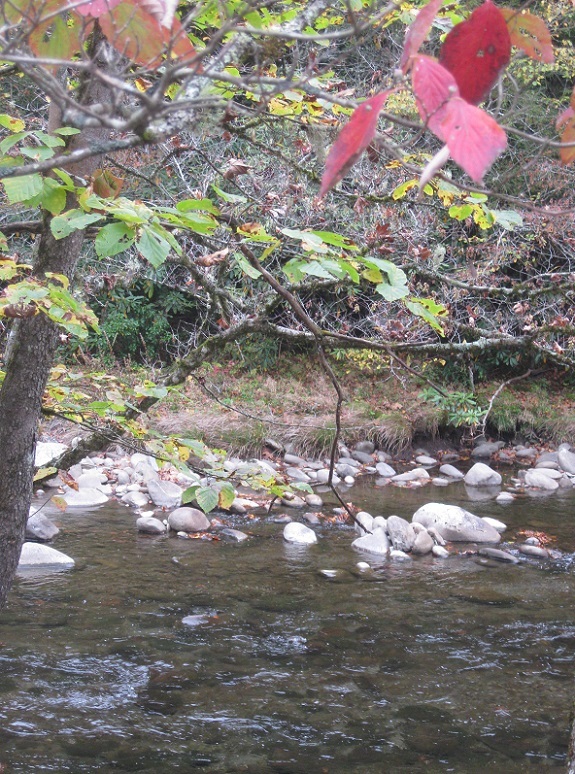 Last week I was in Gatlinburg, Tennessee. 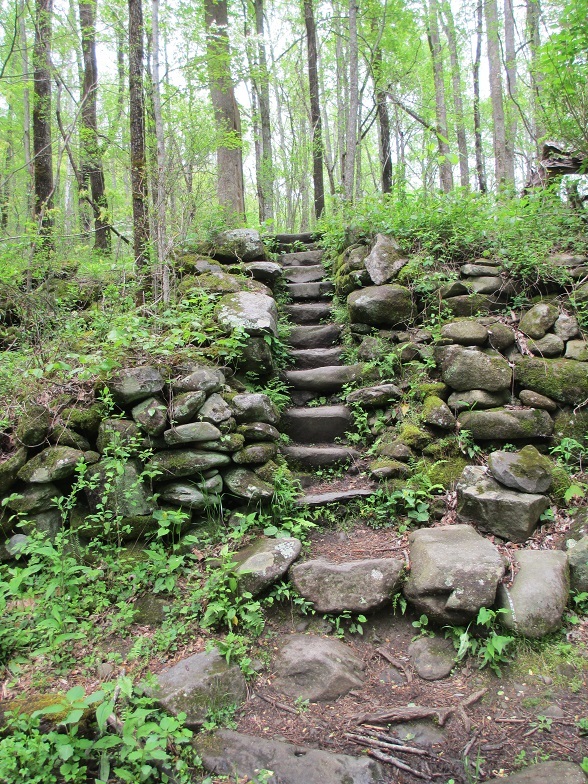 One afternoon I took a walk in the Great Smoky Mountains and there were many wildflowers along the trail. The whole time I could hear the sound of rushing water and the sunlight was rather pale as it filtered through the leaves on the trees. The mountain air was fresh and very fragrant. Here are some of the flowers and other sights along the path. For this week’s theme I thought of two pictures showing completely different scenes. The first is from Chicago showing late afternoon traffic. 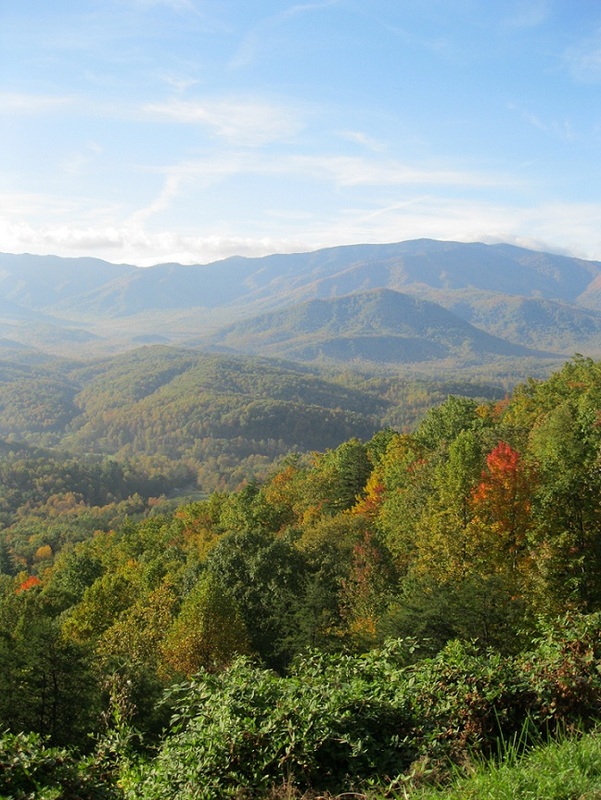 The second is from the Foothills Parkway in Tennessee and leads to panoramic views of the Great Smoky Mountains. Both roads may lead to adventure, so take your pick! 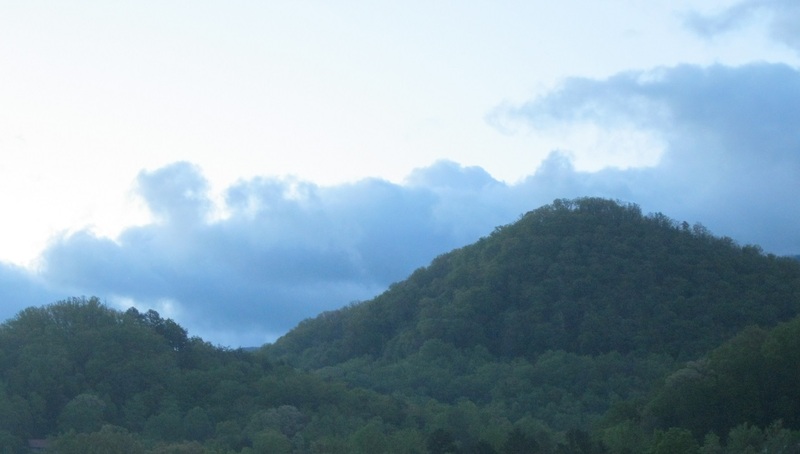 While I was in North Carolina I wanted to find out more about the Great Smoky Mountains in Tennessee. It was an easy drive from North Carolina and the people at the local information center were very helpful. They pointed out on a map where there were good places to see the mountains. On their recommendation I drove to the Foothills Parkway where there were observation points along the road to park the car and admire the view. Each time I stopped at one of these areas I took many pictures of the mountains. Here are some of them.